The Hindu Newspaper celebrating 138 years by today. The Hindu newspaper is started today, September 20. 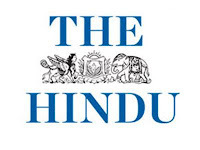 The Hindu Newspaper have a special style which deliver the unique content which touches the heart. The Hindu Newspaper was launched in the year 1878 and published daily from 1889. The Hindu Newspaper is Second highest circulated in india. The Headquartered of Hindu newspaper is in chennai. The price of newspaper is reasonable rate which is 5 Rs in indian Inr. The Founder of The Hindu G.Subramania lyer (Full Name is Ganapathy subramania lyer) he was born in the year 19 Junuary 1855 his occupation is Lecturer and Journalist and left the world in the year 18 April 1916 and his age is 61 years.